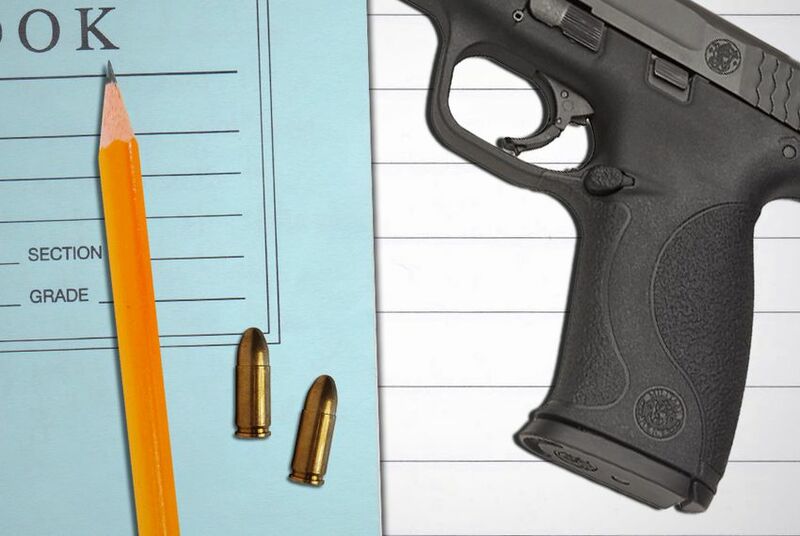 Texas universities would be violating the state's new campus carry law if they banned guns in dormitories, Attorney General Ken Paxton said in a non-binding opinion issued Monday afternoon. Texas universities would violate the state's new campus carry law if they banned guns in dormitories, Attorney General Ken Paxton said in a nonbinding opinion issued Monday afternoon. Universities were given some leeway under the new law allowing concealed license holders to carry handguns on campus — they are allowed to declare some buildings gun-free. But the law says those gun-free zones can't have the effect of banning guns across campus; in other words, gun-free zones can't make it impossible to reasonably carry a handgun at all. In his opinion, Paxton said banning guns in dorms would have that effect. Plus, he noted, the new law allows universities to create rules for how guns are stored in dorms. That provision, he wrote, "presupposes [guns'] presence in dormitories." The University of Texas at Austin's campus carry task force, which was chaired by Steven Goode, a professor at the university’s law school and expert on criminal law, came to a different conclusion. As attorney general, Paxton is the state's top lawyer. Public officials regularly seek out his opinion when there's some confusion about how a law should be interpreted. In this case, state Sen. Brian Birdwell, R-Granbury, the author of the bill, asked for Paxton to weigh in. Schools don't necessarily have to listen, however, and could still try to ban guns in dorms. If they do, they'll likely face legal challenges from campus carry supporters. A UT-Austin spokesman released a short statement Monday night: "President Fenves is reviewing all relevant information as he studies how to implement SB 11 safely and lawfully on our campus."